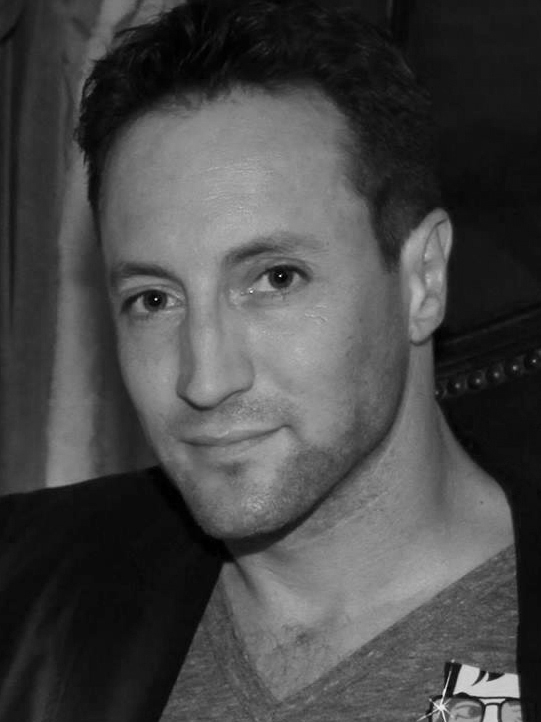 Marc Clebanoff, a graduate of the USC School of Cinema/Television, began his career at 20th Century Fox Television before moving onto a feature development position at USA Films (now Focus Features) under the award winning director of Nurse Betty and Lakeview Terrace Neil Labute. In 2004 Clebanoff founded Odyssey Motion Pictures to make his feature directorial debut with Unspoken. In 2006, Clebanoff co-wrote, produced and co-directed the award-winning dark comedy feature The Pink Conspiracy, which was released theatrically in select cities in September of 2008 before being released worldwide. Clebanoff spent two years (2006-2008) consulting for Quentin Tarantino’s indie motorcycle flick Hell Ride, which premiered at Sundance in 2008. In 2008 Clebanoff wrote and directed Break, a multiple award-winning crime-drama, which was released theatrically in select cities in Spring of 2009 and featured one of the final performances of acting icon David Carradine. Break was rehashed as an award-winning web series for Sony & Microsoft in 2011. In 2011 Clebanoff released the family comedy feature film Gerald, starring Louis Mandylor & Mickey Rooney, which garnered him his first Best Director award. Additionally Clebanoff produced Pound of Flesh, starring Malcolm McDowell, which had its Showtime cable premiere in Fall of 2011. Also in 2011, Clebanoff produced the TV pilot Elwood starring Ron Perlman, Laura Harring & Michael Rooker. In 2012 Clebanoff directed two more feature films: Darkness Descends, an underground action drama starring Danny Trejo, and The Mourning, a supernatural thriller starring Louis Mandylor & Dominique Swain. In 2018 Clebanoff produced Sargasso starring Jeremy Sumpter & Oscar Nominee Tom Berenger. Clebanoff also spent three years consulting for Activision-Blizzard, working on AAA game titles such as Call of Duty, Guitar Hero and Destiny. Clebanoff holds a 2nd degree black belt in traditional Korean martial arts and is an avid distance runner. He is also the grandson of world-renowned musician and composer, Herman Clebanoff. From Joey’s twin on Friends to playing brother Nick in My BIg Fat Greek Wedding 1 & 2, Louis Mandylor has leading credits throughout a variety of highly acclaimed award winning films & television series, which also include CSI New York, CSI Miami, NCIS, Castle, Rules of Engagement, the ALMA Award winning drama film Price of Glory, Charmed, Can’t Hurry Love, Nash Bridges and the hit CBS series Martial Law as Detective Malone opposite Sammo Hung. In recent years Louis co-starred opposite Cuba Gooding Jr. in two hit action films, as well as starred in and directed the award winning independent thriller Blindsided. Louis also created and directed the pilot episode for Elwood, a fantasy presentation starring Ron Perlman. Currently Louis headlines director William Kaufman’s high octane action drama The Brave as well as starring opposite Scott Adkins in the highly acclaimed 2018 Sony release The Debt Collector. In 2019 Louis will appear in Doom 2 for Universal, Avengement, again opposite Scott Adkins, and Rambo 5 with Sylvestor Stallone. Louis is a 7 time award winning director-filmmaker and keeps busy with his producing partner Marc Clebanoff as a partner of Odyssey Motion Pictures.